Mentor and photojournalist Phillip K. Sandlin has been presented with the Joseph Costa Award, named after NPPA’s founder, during an awards ceremony at the Northern Short Course in Iselin, New Jersey on Saturday, February 27, 2016. The Costa Award is given for outstanding initiative, leadership, and service in advancing the goals of NPPA in Costa’s tradition. For 50 years Sandlin has documented Florida’s tumultuous and often bizarre news for the Associated Press and United Press International, building a career and reputation as the consummate “wire man” who covered everything from the Civil Rights movement to space and lunar launches to refugees to presidential elections, hurricanes, and other assorted coastal disasters. And along the way Sandlin also became known for his technical expertise, as well as mentoring young photographers and helping them build their own careers. 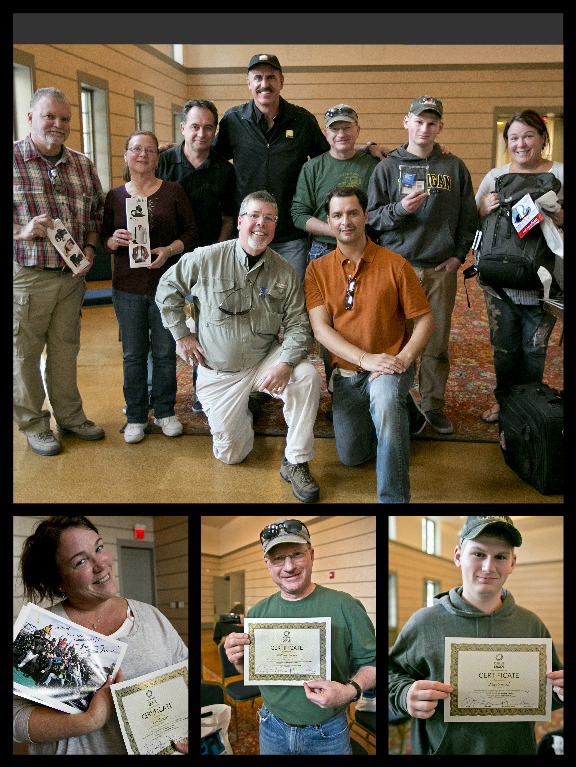 Nomination Letter and Testimonials Presented to the National Press Photographers Association. Phillip K. Sandlin is best known for getting the big picture no matter what. 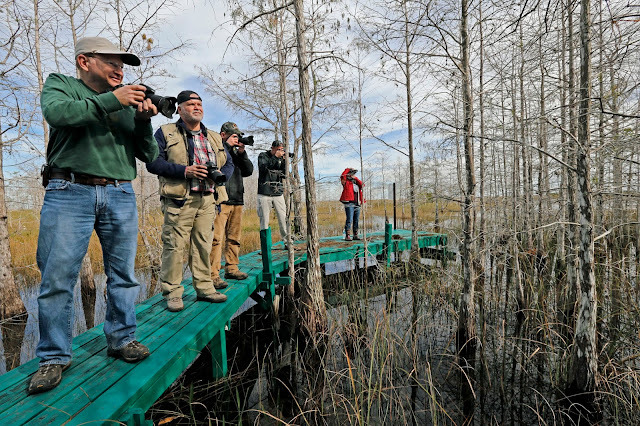 He usually captures the image himself but as Florida Photo Editor at the Associated Press he had an army of protégés he molded into photojournalists. I was one of them. He allowed me access and he lead by example. His direction, wisely delivered with a southern drawl and a sly smile, were many. One experience I had was during the aftermath of the 1980 McDuffie race riots in Miami. President Jimmy Carter met with local leaders in a meeting that quickly turned ugly. The Secret Service rushed the President out of the room. As Carter's limousine pulled away, the crowd gathered outside, booed and threw debris at the presidential motorcade. A beer bottle bounced off the roof of Carter's limousine. As a stringer freelancing for the Associated Press, I was positioned outside photographing the drama that unfolded as the President's limousine pulled away. 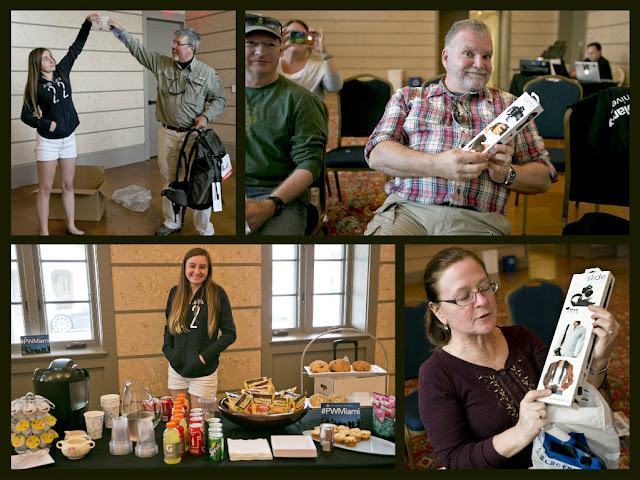 Returning to the office, AP staffers rushed to process their 35mm black & white Kodak tri-x film. As prints were being made and transmitted worldwide, a couple of staffers scanned through my negatives with a loupe, magnifying the images. Nothing caught their attention. Then Sandlin had a look. He reviewed the negatives one by one never skipping a frame. Eventually, Sandlin turned and smiled, he found a frame showing a bottle at mid-flight bouncing off the roof of Carter's limo. Everyone else missed it but Sandlin moved it on the national wire. Always look at every frame he told me. A high bar I hold for myself and anyone else that edits my work to this day. To take the true measure of Phil Sandlin, AP’s legendary news photographer, you’ll have to wait and hear the stories and tributes from the many young shooters he inspired along the way. So many of us owe him our careers and a lifetime of gratitude. Understanding Phil is a pretty straightforward process. It is natural for us to try to explain photographers only by their pictures, but Phil gave us so much more. He is renown for a reason. Phil Sandlin was a “wire man,” and in our world, there is no higher compliment. It means that you get the job done, no matter the difficulty or danger. It meant racing to the scene of the news, overcoming obstacles, grabbing the key photos then conjuring the latent images through the magic of a makeshift darkroom — or maybe even climbing a utility pole in a third-world country with a pair of alligator clips to connect to a hot telephone circuit. This was the work of wizards! You always knew where you stood with Phil — he is a genuine, forthright man, and always humble. His larger-than-life nature is tempered by a sincere humility that comes from his own awareness that being an eyewitness to history is a privilege and an honor. In this age of social media and self-promotion, anyone with a camera can brand themselves a “concerned photojournalist” or “visual storyteller.” That wouldn’t be Phil’s style, though his exploits would give any shooter the right to boast. As a photographer, he was fearless and determined. As a manager and editor, he was like a battlefield commander who knew every part of Florida and the Caribbean and could direct his “troops” to exactly the right place. No matter his role in covering a story, just knowing that Phil Sandlin was in the mix inspired confidence in the staff and always gave the AP a winning edge. Whether it was spring training or another Super Bowl, sports dominated the assignment schedule. Phil captured many of the most intriguing sports heroes of his day — Muhammad Ali, Jack Nicklaus, and Dolphins Coach Don Shula. Sports coverage in Miami was a specialty and Phil was the unrivaled master of the long lens. I was in awe at how he could shoot the first three plays of a Miami Dolphins game, run to the darkroom and have pictures on the wire before the end of the first quarter. He never missed. For fifty years, Phil has been a chronicler of Florida’s tumultuous and often crazy news environment. Like everyone, I would marvel at his first-hand accounts of history: the civil rights movement, refugees streaming in from Cuba, and decades of destructive hurricanes, rebellions and disasters. Phil also garnered acclaim for pioneering technical advancements in photography at Cape Canaveral where his cameras illustrated the tragedies and triumphs of the space program. 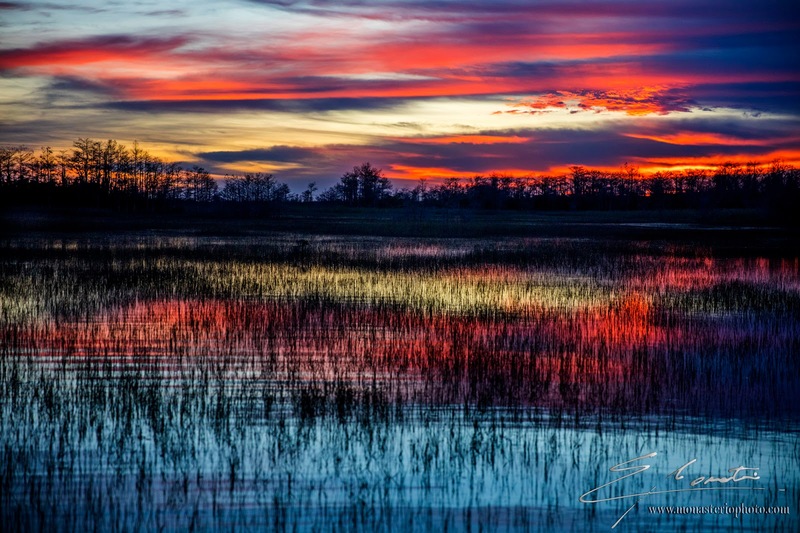 His original passion for photography has always lured him back to nature, where he could escape the chaos of Miami and find peace in the beauty of the Everglades and Florida’s natural wonders. 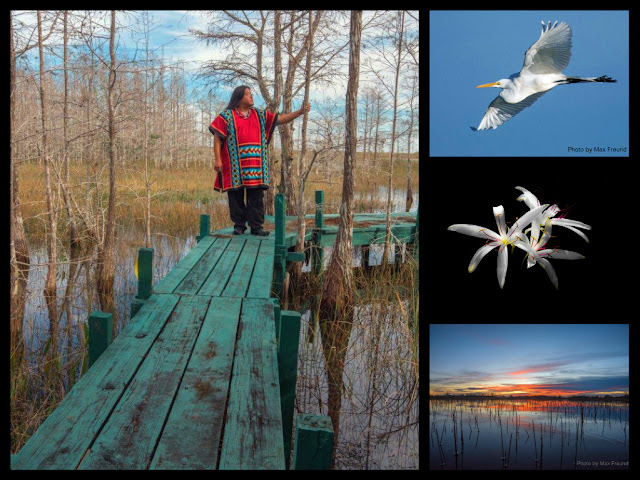 Even when tasked to record a launch at the Cape, his eye for nature could not resist the allure, and irony, of framing the 4 million pound Space Shuttle beside a nearly weightless dragonfly alighting in the swamp grass. Phil has always displayed a tireless work ethic in his news coverage, so I’m pleased that he finally found time to retire a few years ago. But, he’s as busy as ever with a camera and is in demand to shoot college sports and breaking news in Central Florida. To this man who so willingly shared his knowledge and inspired a generation of younger photographers by the example of his own storied career, we can only repay him with our best front-page performance and a commitment to being honest journalists. I said earlier that Phil was humble and grateful to have been a witness to history. I am humbled and forever grateful that he took me under his wing 35 years ago and motivated me to be my best. After all, I just wanted to be a wire-man like Phil Sandlin. 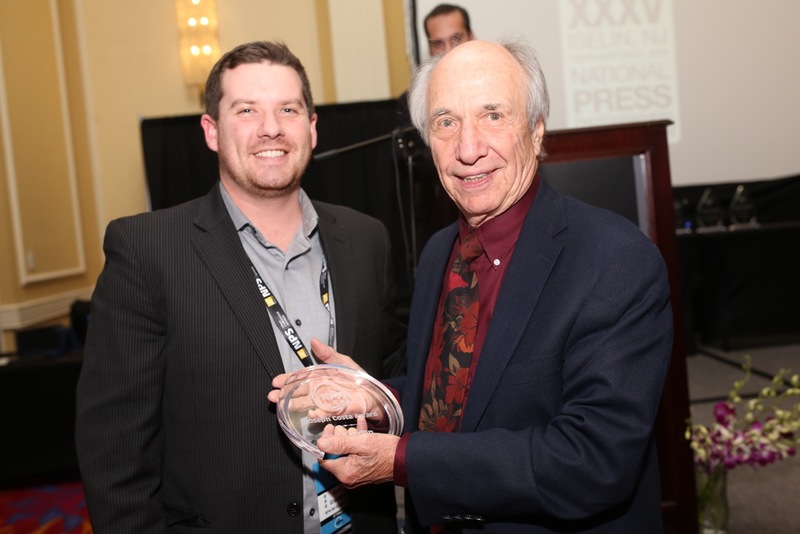 I urge your favorable consideration of Philip K. Sandlin and strongly endorse his career achievements and exemplary character as being worthy of the NPPA’s highest and most prestigious honor. 2001 Pulitzer Prize for Breaking News Photography under Phil Sandlin. As a freelancer in May of 1994 I covered the death of a Cuban lady who had died on her journey to the U.S., she was lay in state at a funeral home here in Miami. All the photographers were outside the funeral home. Across the street from the funeral home there was a cafeteria where I had gone to have some Cuban coffee, there I met some family members of the deceased. I introduced myself to them and after some small talk they invited me inside. I made my photos and called Phil Sandlin and told him what I had. He told me to take my photos to the bureau. I did and a professional and personal relationship was born. I worked with Phil as a stringer from 1994 to 2000, in those days if you worked for Phil, the AP, you couldn’t work for any other news organization, it was work for AP alone or nothing, and I must say, I do not regret a second of it, these were the best years of my life as a photojournalist, in my humble opinion, I was working with the best news editor in the business, what a ‘nose’ for news. He would call you for the assignment and would tell you what he wanted and how to go about it, after going through you film, he would always say ‘good job lad’, many times after an assignment he would talk about it and tell you how he would have gone about it, his unique way of giving you ideas for the next assignment. During my last assignment as a stringer for Phil, which started in Nov. 1999 through April, 2000, I had made the transition from film to digital in January, 2000, I had purchased a Nikon D1 digital camera, around mid-February, can’t recall the exact date, it was a Tuesday around 1-2:00PM, as I was on a ladder shooting the assignment I accidently dropped my digital with a 80-200 lens. Needless to say camera and lens were shot, and so was I, morally and mentally. I called Nikon and they told me that it was probable that it might be beyond repair, I went home not knowing what to do. Around 4:00PM in the afternoon, Phil calls, looks like one of the photogs at the site told Phil about my accident. I told him what happened with the camera and what Nikon had told me, he immediately said: bring me the camera and lens right now, I delivered the cameras to him, he then told me togo home and get some rest. Three days later at 9:00AM Friday morning I get a call from Phil telling me to go to the office. I did, Phil had my camera and lens on his desk, he handed it over and said: now, go to work, lad. Had it not been for Phil Sandlin’s support and trust in me, I wouldn’t be where and who I am. I truly consider myself blessed and honored to have Phil Sandlin as a mentor, boss and friend. I will be forever grateful to him. Phil always emphasized the need to be competitive and be informed of what you are covering. It did not matter if it was a sporting or a news event. Being informed was critical to knowing who was who, what is going on and why. He emphasized that we are journalist first and should know as much or more than a reporter. He always demanded that we (AP) be first to an event and the last ones to leave. This yielded many great pictures. Phil was also very loyal to his photographers and to the company. He was fiercely competitive and God save you if you shared any information with the competition, no matter how trivial. One of the things I liked about Phil is that he was always thinking on how to make a great photo at any event. If there was any type of restriction, he found a way around it to make a picture. Like the time he waded through a canal in the Everglades to get an exclusive photo of a group of Haitian migrants that were rioting at a detention center. He also liked to keep up with cameras and imaging technology, developing remote systems at the Kennedy Space Center that we still use today. Even though Phil was a great photographer, he was also a great editor. He shared his experiences with the staff and freelancers that worked for him. He had a great eye for editing and was always generous with comments and suggestions. Many photographers started their careers in Miami thanks to Phil. He was able to see talent, nourish it and watch it grow. I am forever grateful that I started by career at AP in Miami under Phil. I wouldn't be where I am today without AP Florida Photo Editor Phil Sandlin's help and professionalism. Thirty minutes into my first day of work with Phil, I was on an airplane with him to cover a routine trip by then President Ronald Reagan to Jacksonville, Fla. I still remember one conversation we had while sitting on the plane waiting to take off, "If you screw up, you'll never travel with me again." I worked with Phil in Florida from 1987 until his retirement in 2001 and found myself traveling with him many times. He trained me well. Phil had a sixth sense when it came to news, he always knew when and where to be in the right spot for story telling photos, quietly moving away from the pack to make different images the competition didn't have. One thing I really admired about Phil, he was never to busy to stop and talk or help with a photography problem I might be having. This day and age, with competition among photographers the way it is, you just don't find that trait in many people. While freelancing for AP Photos under Phil Sandlin I was convinced that the AP colors ran through his blood, and if he cut himself he would bleed those colors. Whenever you worked for him he was adamant, when you get your photo, get it on the wire ASAP. Working with him at Kennedy Space Center during Space Shuttle launches and landings was a great experience, he was always trying to find new angles to setup remote cameras. Dense thicket or swamp water never stood in the way. I learned a lot from him, sometimes from watching him, and other times after looking at my images he would point out how I could have made a more impactful photo. As the bruises on my ego healed I would come to the conclusion that he was right and I became a better photographer because of it. My first real taste of big time photojournalism came working for Phil Sandlin when I was a young 20-year-old photojournalist wannabe stringing for him at the races in Daytona around 1980. I would be one of a dozen or more photographers that AP would have scattered around the track for days at a time waiting for anything to happen in my 100-yard field of view. I don’t think I had any expectation of being paid and was happy just to get the experience of being part of the team and getting to work along side the AP staffers. The old darkroom at the track was a nasty little closet of a space with poor ventilation and too many people trying to get noticed by Phil. The stories about Phil were legend. He was someone I admired and wanted to please but he had a quick temper in those days and little patience for foolishness when there was work to be done. I crossed that line one day and Phil unloaded on me. I don’t think I had ever been so intimidated in my life but he made it clear that this was business and not a game. Shortly thereafter it was business as usual, no grudges or retribution, just back to work. I continued working for AP, working my way up the food chain for prime shooting positions at the races. With the approval of Phil I was also part of the AP team that covered the second space shuttle launch. Again, as a stringer I was there to assist some of the top AP photographers and editors in the country that were brought to the cape in the days ahead of the launch. I was happy to fetch meals and carry gear for them and shoot the occasional feature in the week leading up to the actual launch. Again, as I proved myself and the number of staffers covering the launches over the years was reduced I was given better and better shooting positions at later launches. The pinnacle for me was being given the responsibility of shooting the quick launch photo from the roof of the AP trailer in the press area. For those of you that don’t date back to the film days, that job entailed shooting the start of the launch and by the time the shuttle cleared the gantry you had to pull the film from the camera, hand it down to the lab tech who was standing in the doorway to the darkroom. He then processed the film in hot chemicals and printed the wet negatives to get the first photo out on the wire before the competition. I’m not sure I have ever re-experienced the rush of doing the shot then sitting on that metal trailer roof as the shock waves from the launch washed over the press area. Phil gave me chances but made me prove myself each step of the way. The fact that Phil put up with me and other young photographers and in his own way, guided us along in our development as photojournalists speaks volumes for what he did for a generation of photographers that are still working in this ever-changing business. After several years of stringing for AP while going to college I landed a full time newspaper position where I have been for over 30 years. It has been a couple of years since we stopped covering football in Gainesville but when I did, Phil was still there, retired from the AP but still on the sidelines at Gator games, shooting as good as any of us. He had mellowed a bit, he was more relaxed but he still had the hustle, setting the bar even higher and giving those of us decades younger something to strive for. I can’t think of anyone in my career who has taught me more by example than Phil Sandlin. I met Phil Sandlin in the parking lot of the Lakeland Ledger newspaper on October 31, 1980. I was a photographer at the paper and Miami AP Photo Editor Phil was in Lakeland, Florida, to cover Jimmy Carter’s appeal to Florida voters, just days before the November 4 election when he lost to California Governor Ronald Reagan. I had for some time wanted to be a wire service photographer, having worked with the legendary Jack Thornell of AP and Jerry Lodriguss of UPI in Louisiana. Phil and I spoke after the assignment and I knew at that moment I wanted to do what Phil was so good at doing. I contributed to the AP wire as a member photographer and eventually grew closer to Phil. He assigned me to lead coverage of University of Florida football in Gainesville and I was able to assemble a crew of Ledger photographers, including Pierre DuCharme, John Raoux, Chris O’Meara and Dave Martin for coverage. It was very difficult for me to get a picture on the wire with that bunch. I know all of them were equally touched by working with Phil. Phil’s call came on May 15, 1983, asking me to join his staff at Associated Press in Miami. To call Phil a mentor is not sufficient. I learned so much by watching him go about his work. I’ve never known a photographer to carry bolt cutters in the trunk of his car. Or one who drove as fast as he did. To be an AP photographer working for Phil was like being in the army -- a very powerful army, with co-workers Doug Jennings and Kathy Willens. Everything was regimented and you were accountable for everything you touched. I marveled at watching him type captions during the Overtown riots on the IBM Selectric typewriter with finger casts after he was injured while cutting plexiglass for remote camera boxes at the Cape. I stood on the steps of Federal Court in Miami with him as Santos Trafficante walked in to face charges. I remember the sleepless nights covering the Challenger aftermath with Phil. I remember the words of encouragement and the other words which can’t be repeated here. I wanted so much to please him with hard work, and if I did well... it what was just what was expected. Phil is a brilliant man, photographer and editor. I am proud to have learned from him, and to continue to be inspired by him. PKS, (Phillip Kyle Sandlin), my friend. I worked with Phil Sandlin for about four years when I was a staff photographer in the AP Miami bureau from 1990-1994. I already knew of Phil as somewhat of a legend among wire service photographers. He could be intimidating, tough, intense, but all of this was for the goal of getting the best out of himself and staff covering our daily assignments. He was definitely a guy you always wanted on your side, and not on the competitions. I learned from his vast experience, and as a result, strove to always be prepared and not to overshoot. 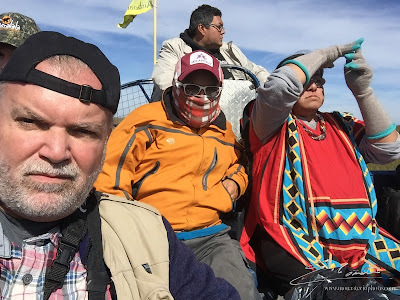 I worked with Phil Sandlin the 27 years he spent with the AP and I have never worked with a more dedicated, hard working, talented photojournalist. He always put 100 percent effort in everything he did. He was fast thinking, fast acting and top producing in everything he did. Some of it he did himself and others he organized and directed for his crews. As I was AP photo editor in Atlanta and he headed the Miami AP photo operation we worked together on a regular basis. We also worked many assignments together in the southeast U.S. and South/Central America and it was always great working with him. Space shuttles, super bowls, national political conventions, boxing matches, hurricanes, etc. was a lot of long hour days and hard work. Phil was the first one up to start and the last one to finish. He is truly a professional and I am proud to have worked with him. During these years we became the best of friends. We are now both retired and continue that friendship. In 1993 I met Phil Sandlin for the first time during an interview set up by the AP New York office. To me, he exemplified everything the Associated Press stood for back then. He knew everyone and everyone knew him, opening plenty of doors for this transplanted Canadian who parachuted onto his staff as a photographer in Miami, Florida. For the next five years he was mentor, leader and always a friend. We counted on him for his experience, wisdom and inspiration. He had this knack for getting the most out of his staff with what I considered his unique southern charm and at times his "in your face" feistiness. He steered us through diverse assignments that ranged from chasing hurricanes to stranded Cuban refugees and civil strike in Haiti to shuttle launches, Super Bowls and the Masters only to name a few. All new to me, all which he was a seasoned-pro at. 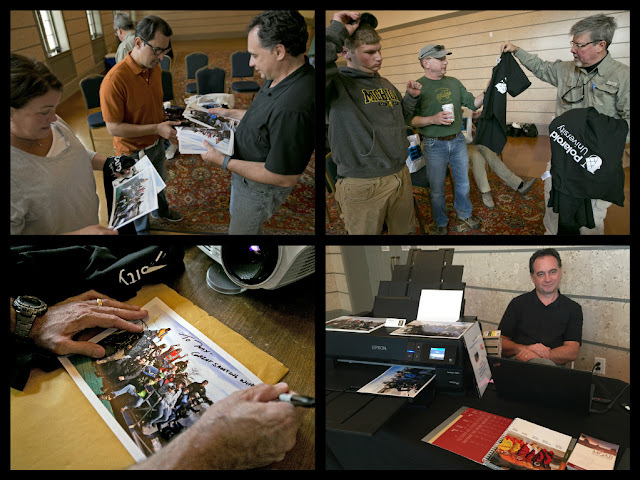 As we helped tackle the move from film to digital with the rest of the AP staff in the mid-1990's, we discovered a quicker and more efficient way to get images to our members--not an easy transition for any of us 20 years ago. No longer were we processing film and packing up portable darkrooms, now we were huddled over laptops talking Jpegs and RAM. We butted heads on numerous occasions but we would always say our piece and move on. The following day all was forgotten and you were greeted with a sly smile and a customary "Hey, Bud" as he did with us all. Looking back at the years I spent working alongside Phil would become the most rewarding in my career, times I have tried but never been able to recapture in the 35 years of working in photojournalism. As an already working freelance photographer, I moved to Boynton Beach Florida late in 1994 and reached out to the AP Miami photo director, Phil Sandlin. Looking for assignments, I asked if he wanted to look at my portfolio and he said no. He already knew my work from New York and when an assignment would come along he would contact me. It was about 3:00 AM in the morning of January 4, 1995 when my phone started ringing. It was Sandlin, and he said that there was a prison break in Bell Glades and to get there. I called the prison (they were just in the early stage of the break) got direction and rolled in with other cars. Did a series of photos and how the five murderers had escaped. (I was still the only photographer on the scene) I called Sandlin back and he was already in the office waiting for me to call. With directions to the Miami office I delivered the film, we had images on the wire before anyone else was given access to the scene. Sandlin had a sixth sense about assignments. As when he sent me to cover President Clinton who had injured his leg at pro golfers Greg Normans home. I got to the Hospital when the President arrived and left before he arrived at the airport to be carried by the security detail into Airforce One. Again, there was Sandlin directing film traffic and had the images posted first. Sandlin taught me that when you feel you have the image in the "can", don’t wait to get it out, and then go back. It will be that image you stop to transmit that is news and all else is history. As the leader of the opposition in Florida. Meaning UPI. Mr. Sandlin taught me a lot. The Hard Way. Phil had worked for UPI before and knew it well. I came in from a 3 year tour of duty in Brussels and had no idea how complicated Florida picture coverage could be. But Phil knew the state cold!! Every photographer, picture editor, managing editor knew Phil. What i remember most was the looks of a long lens at a football game that i had never seen before. A Nova Flex. I found out real quick how deadly that tool could be. Phil was a master long lens shooter with that lens. He and i now exchange facebook comments. He was especially kind after i broke my neck in a fall and spent time in two nursing homes. Funny how life mellows you as you get a bit older. Phil & l first met when I had just started my first job as a professional in 1965 at the Palm Beach Post. He was working for UPI at the time. From the "get go" Phil exhibited a humble, outgoing, and friendly demeanor. Who knew in those early years that this early foundation of our early friendship and professional contact would span over 50 years now. We competed against each other after the Associated Press hired me in 1969 and later, after AP hired him. He eventually would be my supervising Photo Editor from Miami after I transferred from Miami to Tallahassee. So in addition to being a great friend these many years, he's also been a great mentor professionally connecting me with the nuances of 35 mm photography, early on providing some tricks of the trade on high speed photography for low-light situations. Phil came up with a unique quick developing technique for Tri-X B&W film at over 100 degrees which was so fast it actually avoided most of the emulsion's grain clumping; thus allowing us to develop, print off of wet film and start phone transmission- all within 10 minutes on rush news assignments. Fellowship with Phil and the gathered crew of photographers on mutual assignments through the years have provided fond memories. As a professional, he not only has a great photographer's eye and a superb sense of timing, he consistently grew to be uniquely expert with long lenses- especially when using 500 mm-plus glass- many occasions I could not compete with such images when covering the same assignment. I shall forever remember his: willingness to help, true grit personality, infectious-welcoming smile, graveled voice, and professional yet compassionate supervising skills- HE IS A GIT-ER-DONE PHOTOGRAPHER FOR ALL SEASONS. My life is BOTH richer and accomplished because of PHIL! You always had to be on your toes if you were competing against Phil Sandlin. As a young photo stringer, working for United Press International, I still vividly recall shooting the rollout of the very first NASA space shuttle at Cape Canaveral, Fla., in 1980. I, along with Phil and a handful of other news photographers, was scheduled to be in the first group to be taken up to the top of the Vehicle Assembly Building to get an overhead view of the shuttle. Everyone knew that was going to be the prime photo. As we were waiting, the NASA van took us to another vantage as the shuttle began to first appear from the building. I informed the NASA public affairs representative that I was going to walk 100 feet to a nearby fence for two minutes, but did not want to miss the ride to the VAB building. The PR person said there was plenty of time and I trusted that. I walked, shot my photos and two minutes later turned around. Although I could not fully confirm it, 35 years later I remain convinced that Phil’s relationship with the public affairs representative was so strong that he talked him into leaving without me. The next day, 90 percent of newspapers around the country used the AP photo shot by Phil. It taught me a very valuable lesson I practice today. When you know something is important, don’t ever walk away from it, NO matter what. That said, I’ve always had tremendous respect for Phil. Others hardly ever matched his shooting aptitude, especially sports action with a long lens. Others never matched his swift picture editing and processing skills. Phil Sandlin was the best news photo editor I ever worked with and one of the best wire news photographers I ever worked with. It was fun and an honor to work with him. When I first started working at the Miami Herald, he would come over and pick up news photos I had just shot. He would look at my negatives and in seconds always pick the best shot, always, for 40 years. He taught me how to pick the best shots during wars, hurricanes, riots, earthquakes, fires, floods, shootings, and more. When I showed up at a news scene, if I didn't get there first, he would always be in the best spot to get the best photo. Phil always greeted me with a smile and when I was young, taught me more then any other photographer or editor about news and I have worked with hundreds all over the world. Once I was in a boat and had followed Diana Nyad for 41 hrs in her first attempt to swim from Cuba to Key West. I got a great shot in color of her being pulled from the Florida Straits, short of her goal. I had to ship the film from the middle of the ocean. We had worked out a plan to radio Phil to fly out in a helicopter and somehow get the film. When the chopper arrived, Phil, wearing his cowboy boots, kicked the door open and lowered a battery box down on a rope. I put the film in the box from the bow of a jolting boat; he pulled the film up and disappeared. We beat every news organization in the world by a full day. When I saw that Phil Sandlin had my film, I trusted that he would meet deadline and pick a better photo then I would. Phil Sandlin is the best newsman I ever worked with in the golden era of news photography, period. I was lucky enough to be one of Phil Sandlin’s stringers in the AP Miami bureau from 1977 to 1980, while attending journalism school at the University of South Florida. Sure, I was learning how to be a photojournalist while in those hallowed halls, but it was with Phil where I learned to “see” pictures and learn technique. One of those techniques included handling the bulletin photo of the winner of the Daytona 500 crossing the finish line, where I was assisting him in the darkroom. He instructed how to heat up Kodak HC110 developer to 120-degrees, developing the image for 30-seconds, before immediately transferring the film into fixer for about a minute. But not before blowing on the roll of film for luck. More important than all the technique we learned, Phil had the ability to recognize talented kids with cameras and mold them into young men and women who would someday become many of the greatest photojournalists in the business. I will always be grateful for the opportunities that Phil presented to me. First met Phil when I was transferred from Trenton, N.J. to Miami in 1972. We worked for UPI till Phil joined the AP. We remained close friends and competitors. When UPI laid me off Phil then took me on as a stringer. Some time later at the age of 62 Phil arranged to have me hired as the Orlando AP photographer. Each month when I receive my AP pension check I thank heavens for Phil. I first met Phillip K. Sandlin on November 12, 1981 at the Kennedy Space Center for the Second Space Shuttle Launch. I was a High School kid with big eyes and lots of energy. I first spoke to Phil at the Astronaut walk out. This was back in the day when there was only a dozen or so of us standing outside the door waiting for the Astronauts to parade by in their suits and wave. Phil noticed that I brought a stepladder. He said to me, “Bud, that was a good idea.” That was our first of many conversations on that assignment. This all sent me in the direction of a visit with Phil in the AP Office in Miami. With a “Hey Ladd” Phil greeted me. Our visit at the AP Bureau was brief. With a quick look at my shuttle launch photos and some of my sports, Phil put me to work that weekend. For the next bunch of years Phil always seemed to have time in his busy schedule to chat about all kinds of things. From photography to what was the best canoe. In our journeys together to exotic places like Dodger Town and Daytona. Phil took me under his wing. I was one of his Boys. Orange Bowls. Super Bowls. Some bowls not so super. Phil Sandlin is a man with a tremendous amount of passion for life. He also showed all of us the hard work and dedication needed to be a photojournalist at the highest level. An innovator with and exceptionally keen eye and a wry sense of humor. One day wearing a suit and tie on assignment. The next day wearing hip waders. from my Phil memory bank. He always seemed to be in the right place to make the story telling picture. Some of my Phillip K. Sandlin Memory Bank includes. 1. 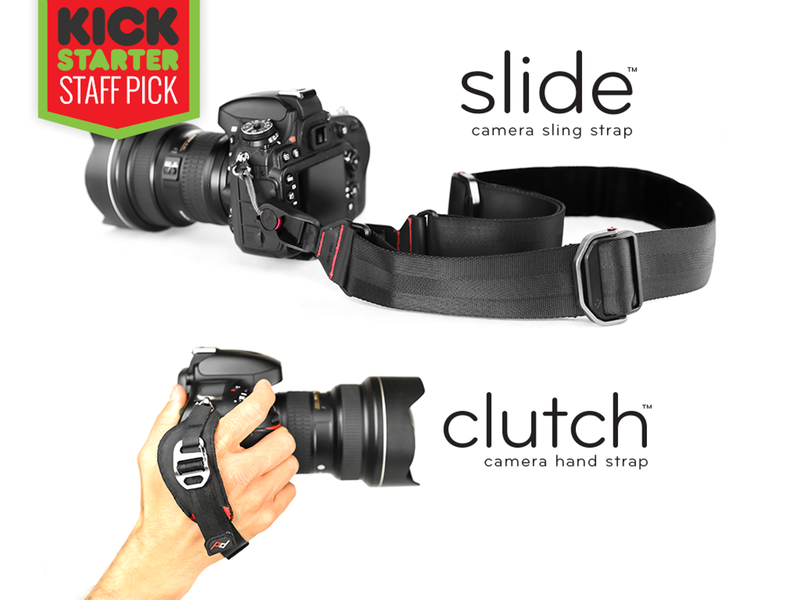 How many knots to put in a rubber band to get the lens cap on your remote camera to pop off. 2. Using rain-x to keep your lenses from fogging up. 3. Always be prepared with a back up set of cloths in your car. You never know what kind assignment you’ll get sent to. 4. When ordering a sub sandwich to go. Ask for it to be cut into pieces for fast driving. 5. Double check that your camera has film in it. 6. How to print a badly developed or exposed negative. In the end Phil taught me to look at life from a different prospective. To keep challenging yourself in work and in life. Thank you Phil. 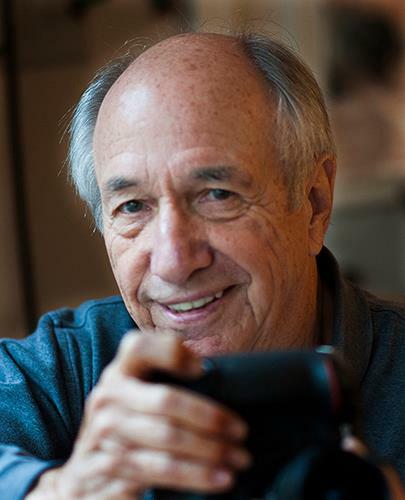 PHILLIP K. SANDLIN, 77, was a United Press International photographer when he covered the 1965 Selma march during the turbulent Civil Rights era. In 1974 he joined the Associated Press and photographed a disgraced president, dodged bullets in a war zone, figured out how to transmit photos from earthquake rubble and hurricane devastation. He covered the Mariel Cuban exodus, the McDuffie riots in Miami, the Space Shuttle Challenger explosion, executions at Starke and countless sporting events producing unique images including golfer Jack Nicklaus' victory in the 1986 Masters. In 1981 Sandlin swam through five feet of water to get exclusive pictures of riot police moving in on Haitian refugees creating a disturbance at Krome Detention Center in Miami. At Cape Canaveral, Sandlin helped perfect the use of remote cameras for the first shuttle launch from otherwise impossible angles and covered the final shuttle launch as an AP contributor. 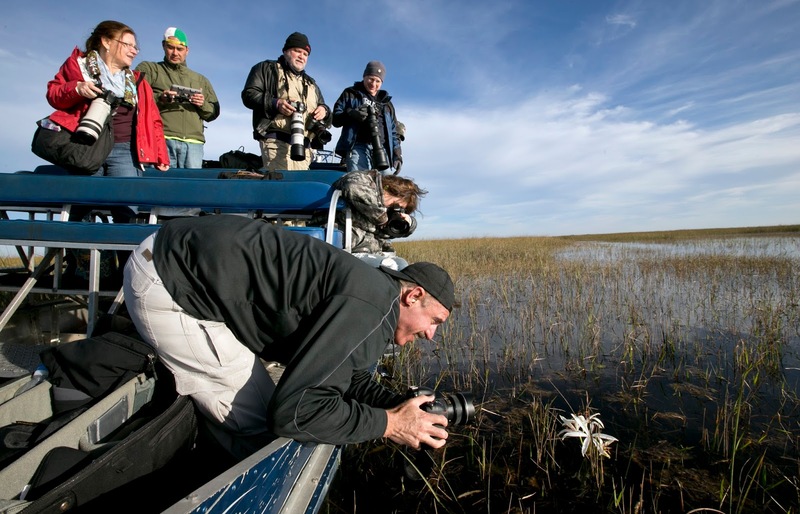 Sandlin retired in 2001 as AP’s Florida Photo Editor. Under his leadership, Miami staffers Lynn Sladky and Alan Diaz won Pulitzer Prizes. "The world was my palette and my cameras were my brushes. I'd like to think that I painted a pretty picture of events that most people would have to pay to attend. Some of those events were not pretty or cheerful but, to be chosen to record those events for history was an honor. To cover a story and see your images played on the front of your daily newspapers was visible testimony that you did your job right as a photographer. It filled a creative need and an historical need." 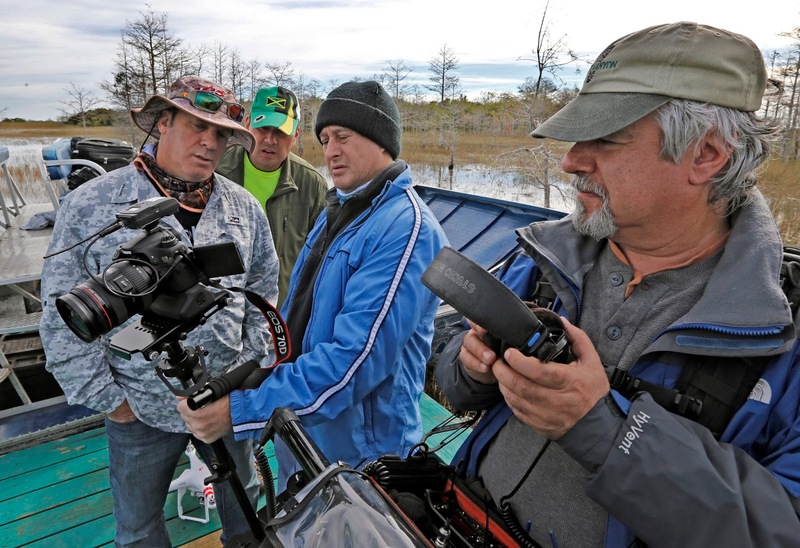 Nikon Ambassador Ron Magill leads the sunrise expedition in the Everglades. Focus on the Everglades, presented by Photo Workshops Miami was an incredible experience from beginning to end. We started our day - long before dawn –at the Coral Gables Museum where we met organizer Al Diaz, a Miami Herald photojournalist and one of our guides, Everglades Historian Cesar Alejandro Becerra on Saturday, January 30th. We boarded a comfortable van for the first leg of our adventure. Enjoying pasteles, breakfast sandwiches and fruit as we traveled west, we listened to Cesar recount the challenges and successes of the early pioneers as they constructed the “Tampa to Miami” or Tamiami Trail across the Everglades. As we moved along the Trail, we marveled at the advances that have been made in the last one hundred years. 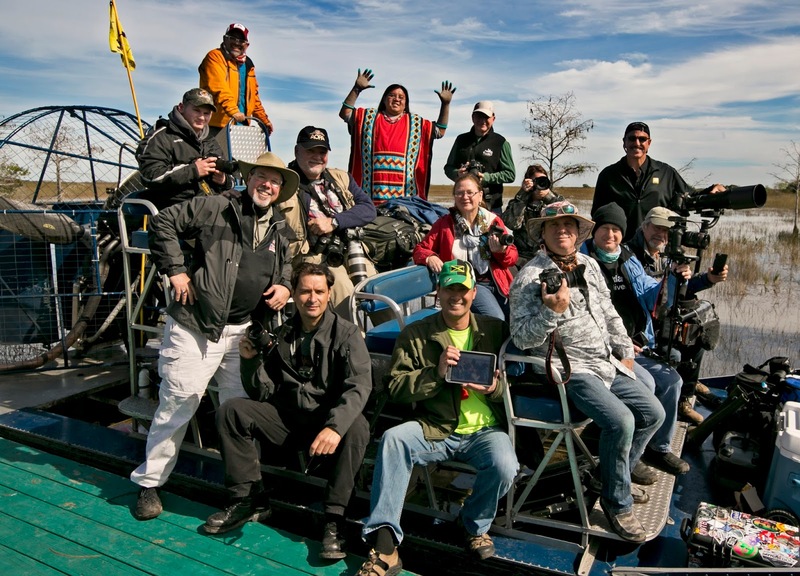 Arriving at the Miccosukee Village, we met our Everglades host and guide, Houston Cypress. The morning chill and dampness had us all shivering as we loaded our gear aboard a large airboat, which would be our base for the next several hours. Earplugs in place, we pulled away from the dock in the darkness. 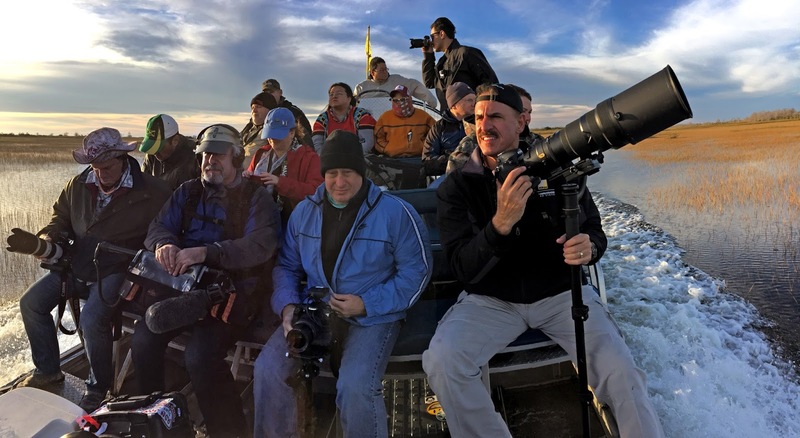 Our photography guide, Nikon Ambassador and Zoo Miami Communications Director Ron Magill, had assured us that we would be rewarded for the early hour by being in the right place at the right time to watch the sun come up. No one could have predicted the breath-taking beauty we witnessed. First the grey then the red then a whole rainbow of colors played out across the water, grass and cypress trees where we sat. As Ron gave us tips and pointers, shutters clicked. I will admit that at one point I just sat and drank in the sight, totally mesmerized by the changing light and colors. Along with my photographs, I will carry that sunrise in my mind’s eye for a very long time. When the light was fully up, we traveled through the area in the airboat photographing birds and early morning beauty until we arrived at our next destination – a hammock island called Little Pot. We spent some time there exploring, shooting pictures, and listening to Houston tell about his life as part of the Otter Clan. Another treat was in store as Al had arranged for us to share a wonderful lunch prepared by Houston’s mother. Delicious! Re-boarding the airboat, we started back, stopping to observe lilies and lily pads and experimenting with the light as Ron shared tips from his experiences as a wildlife photographer. His enthusiasm and knowledge were infectious. Participants were drawn into trying new techniques that resulted in stunning captures…the wows and ohhh’s as we looked at the results of our work encouraged more experimentation. Ron Magill photographs flora as he leans over the side of the airboat. Al Diaz Photo. We returned to the Coral Gables Museum and were greeted by Al’s wife, Cindy Seip who arranged coffee, tea and goodies for us to enjoy. We toured the museum’s Tamiami Trail exhibit, then moved into the conference room to enjoy a presentation by Ron Magill. To say that the next hour and a half sped by would be an understatement. Listening to Ron share his expertise and photos was both delightful and inspiring. Ron’s attitude is that we can all do what he does so he shares freely and unselfconsciously. His love for his subject comes through in every shot. He wove stories into the sequences and showed how to improve pictures both with framing and with different settings and techniques. The day wrapped up with gifts and prizes and a visit to the Leica Store on Miracle Mile. We came away knowing that because we had spent this day together, we would all be better photographers. Marc Serota, at left, and the Polaroid University video crew document the day. Ron Magill, William Freund, Max Freund and Ruth Blenker. Front left to right are, Al Diaz and Elkin Pabon.